Mokae was born in Johannesburg, South Africa, moved to Great Britain in 1961, and to the United States in 1969. He turned to acting at the same time as playwright Athol Fugard was emerging. The two worked together on Fugard’s first international success, The Blood Knot, from 1961, a two-hander set in South Africa about brothers with the same mother but different fathers; Zach (played by Mokae) is dark skinned and Morris (played by Fugard) is fair skinned. Later Mokae worked with Fugard on another major international success “Master Harold”…and the Boys, for which Mokae won the 1982 Tony Award for Featured Actor in a Play. The play was filmed for television in 1985 with Mokae and Matthew Broderick. 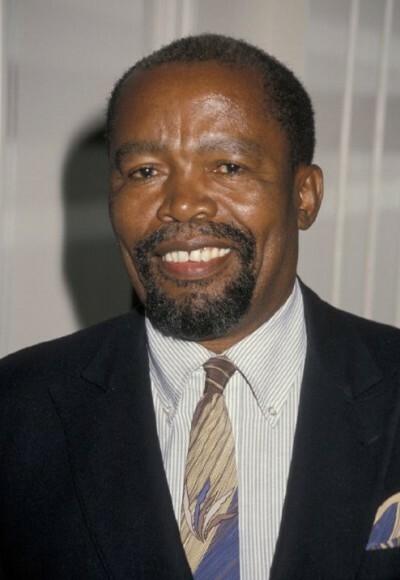 In 1993 Mokae was nominated for a second Tony Award for Featured Actor in a Play for The Song of Jacob Zulu by Tug Yourgrau. His early film roles included Darling (1965) as a guest at a wild party, and The Comedians (1967) starring Richard Burton and Elizabeth Taylor. His major films are split between anti-apartheid films such as Cry Freedom (1987) and A Dry White Season (1989), and cult horror films such as The Island (1980), Dust Devil (1993), The Serpent and the Rainbow (1988) and Vampire In Brooklyn (1995), the latter two directed by horror icon Wes Craven. He also appeared in character roles in many other films including Gross Anatomy (1989), Dad (1989), A Rage in Harlem (1991), Outbreak (1995) and the Kevin Costner film Waterworld (1995). On television, he has been a guest actor in many series such as The West Wing, Starsky and Hutch, Danger Man, The X-Files, Oz, Monk and Knight Rider. In 1975, American writer-filmmaker, Eon Chontay Cjohnathan gave birth to Zakes Mokae’s only child: Santlo (after Mokae’s mother) Chontay Mokae. In later years, Mokae worked as a theatre director for American companies including the Nevada Shakespeare Company. Mokae died from complications of a stroke on 11 September 2009 in Las Vegas. Mokae had been ill for some time.